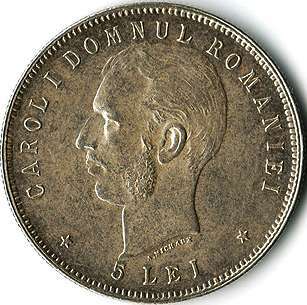 Obverse: denomination * 5 LEI *, the inscription "CAROL I DOMNUL ROMANIEI" meaning "PRINCE OF ROMANIA" and prince Carol I (with side whiskers) facing left. 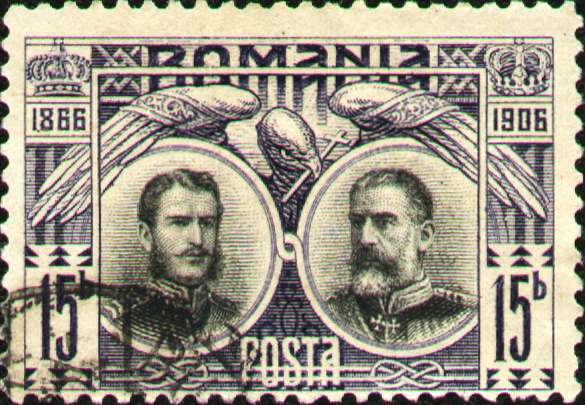 The side whiskers are barely visible even on excelent pieces. Under the neck lies A. MICHAUX, the engraver's name. 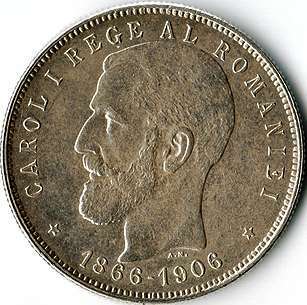 Reverse: years * 1866 - 1906 *, the inscription "CAROL I REGE AL ROMANIEI" meaning "KING OF ROMANIA" and king Carol I facing left, outer pearl circle. Under the neck lies A. M. standing for A. Michaux, the engraver's name. 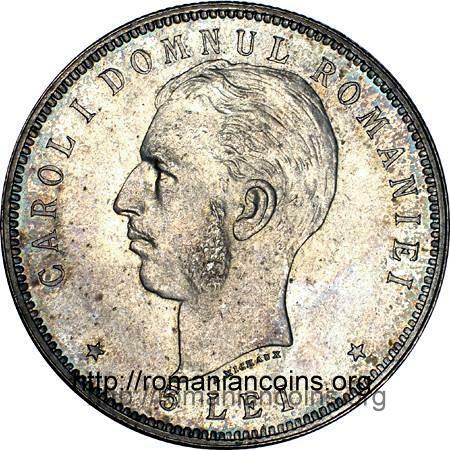 The silver coin pictures above are present on Romanian coins through the kind permission of Mr. Radu Lissner. 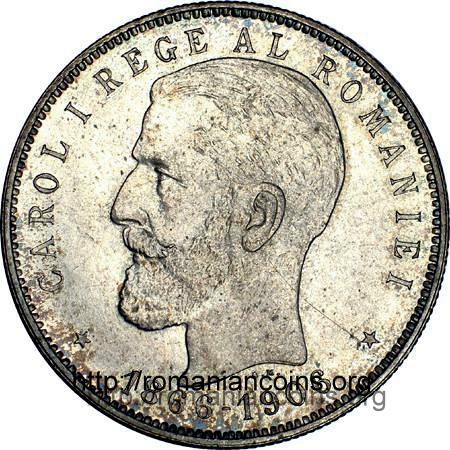 The silver coin pictures above are present on Romanian coins through the kind permission of an anonymous donor.